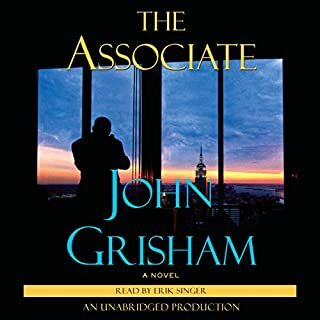 ©2004 Belfry Holdings, Inc (P)2005 Random House, Inc. Random House Audio, a division of Random House, Inc. I am a Gresham fan and enjoy his style of writing. There is action, mystery, suspense and tense moments, all the elements of an enjoyable book. I was not looking for anything that was heavy, rather something that was intelligently entertaining. The broker won. I am glad I didn't read all the negative reviews first because I would have avoided this book. I enjoyed this book. 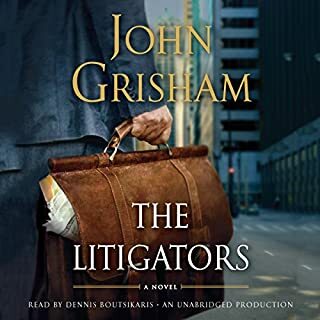 I just finished this audiobook, and I enjoyed it thoroughly. Yes, the action stalls in Bologna--but that doesn't mean the end of suspense and anxiety for readers identifying with the flawed protagonist. All of Grisham's books are riffs on escape--whether it's from the bad guys, surveillance, the feds, or the corrupt, soul-destroying capitalist work world that traps us all. Given Grisham's obsession with this fantasy, it makes sense to set the character in Italy--with its "slow food," ancient rhythms and architecture, and comparative innocence in global terms. It is here that the character--once again like all Grisham's protagonists--relearns what's important, reinvents his life, and gains redemption. I found it believable and strangely powerful--and, of course, it's almost impossible to stop listening toward the end. This book is definitely different in many ways from his previous books, but it works somehow. I'd get it again in a heartbeat. This is a stunningly bad book. 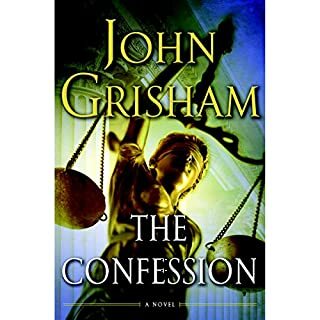 Without Grisham's name it would never have been published. Like many readers I tend to shop for my favorite authors' works. Never again. I can almost believe Grisham made a bet with someone that he could get any drivel published, and wrote this to win the bet. The most outrageous flaw in the book is the hours and hours of descriptions of Joel Backman (the Broker) learning Italian. It made no sense in the plot for him to even be required to do so. He never really needs to speak Italian, except to order espresso (which he wil do dozens of times, and each time you'll be treated to extensive English-Italian translations of the transaction). In his intro to Italian his tutor shows him the sights of Bologna, and yes, describes in detail every sight, right down to the number of steps in the tower. At first the travelogue is sort of interesting, but as hours go by and the plot (if ever there was one) is advanced, I found myself wishing I was reading, rather than listening, so I could flip forward a few pages and end the agony. The basic premise of the plot makes no sense at all. Presumably the Broker is begin set up to be killed by some foreign agency. Depending on which one pulls it off, the CIA learns who owned a satellite system. But they're all gunning for him, and it's not a question of who wants him worst or for what reason, but who will get lucky. And, by the way, there's an excellent chance the CIA will not know which one was successful! And speaking of that satellite system, Grisham should ask any high school science teacher how fast a satellite in a 300 mile orbit would be travelling. Trust me, it's a lot more than 120 mph. Tom Clancy can rest easy. The characters are a mess. I didn't know whether to like Backman or hate him. In the end I didn't care. Some interesting characters pop up, like the Tin man, but once developed, they slip away, never to appear again. Save yourself a few bucks. Don't buy this book. This is a better travelogue than Frommer's guides. 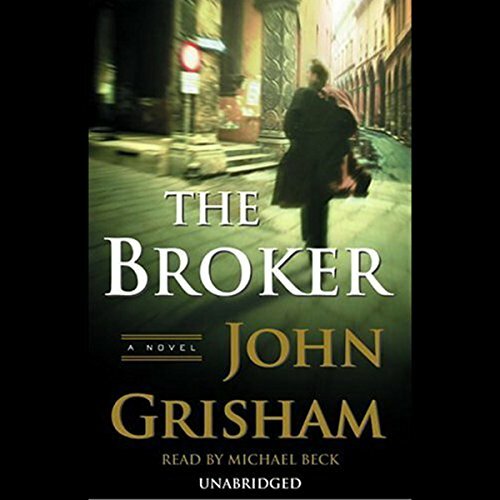 It is obvious that Grisham loves Italy as do I and it was nice to listen to his descriptions of Bologna and Milan. The story itself is fairly preposterous and not terribly satisfying in the telling. OK to listen to on a trip. Michael Beck makes it easy to love Italy and the fast pace of this novel makes stop-and-go traffic an afterthought. While the gritty details are skimmed over quite quickly, the intent of the book is not to write a factual spy how-to. Rather you are drenched in Italian culture and the focus is clearly on the broker who transforms his identity from hellion to hero. Believable, entertaining and worth your time. And I'm looking for more books read by Beck. I have read every John Grisham book, and this was my least favorite. It lacked the suspense, engaging plot, and interesting character development that made this author famous. This book reads more like a travel guide for Italy, complete with descriptions of restaurant menus, and lessons on how to speak Italian. A good story since it is fairly unique in its setup and execution. The challenges, crimes, and retributions in this story are more indirect and obscure than in your typical crime or espionage book. You really have to think to understand why all the characters are trying to get even and why the "hero" is in the middle of it all. Along the way, we get exposed to Italy and Bologna, in a way you wouldn't normally experience it in an espionage novel. I found myself wishing for pasta and wine every night I was reading this book. If you enjoy subtlety rather than being hit by a 2x4 in a spy book, you'll probably enjoy this. I usually love anything Grisham, but I must say what was he thinking with this bomb. I was waiting for something exciting to happen but I was left waiting and waiting. I thought I was listening to a translation audio book. Every word in Italian was translated to English. I hate to say this but this was the worst book I have ever heard or read. 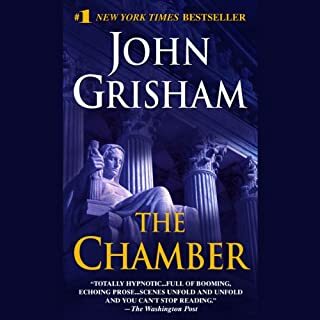 I should have listened to the reviews, but to be honest I would have purchased it anyway because of the fact that I am a Grisham fan. I usually love Grisham's books. Well-conceived characters, with their history, development, sympathies and conflicts creating unusual tension and suspense. However this novel skips the initial backstories and thus loses the fuel to keep it all going. Who is this Joel Backman? And why should we care about him? How did he develop his MO and why exactly did he plead guilty and to what? It's all too vague and Grisham misses an opportunity for the real story. 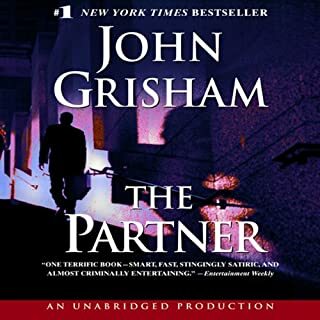 Instead, Grisham hits the reader in a spatter pattern of about a dozen characters each of whose story is hard to put together. 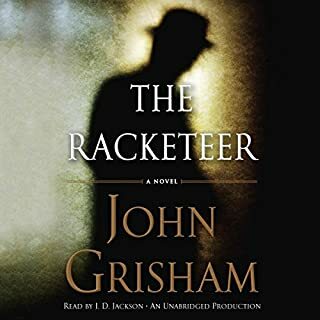 I almost gave up but about midway through the book there emerges a secret-squirrel type story that gets interesting and to Grisham's credit, there is great theater and sense of place - all of which kept me going until the end. However, I agree with the author's end-of-story disclaimer and I prefer his psychological exploration of courtroom drama to this latest foray into the espionage thriller.